The above picture summed up Saturday for the Iron, with a sombre mood all round for those not associated with Bournemouth Football Club. It was an absolutely woeful day down on the South Coast for those 227 faithful Iron supporters who trekked down to deepest, darkest Dorset – to be treated to a limp Scunthorpe performance, comfortably beaten by an average Bournemouth side who couldn’t quite believe their luck. The stats might claim that Scunny had 5 shots on target, but bloody hell – 4 of them must have been crap crosses. For there was so little of the usual little inventiveness, guile or dogged determination from the players that the fans have been used to. Frankly, it was almost depressing. And whilst there was definitely a frosty end to the game, with both players & fans not particularly desperate to positively embrace each other: there can be no forgiving Oliver Norwood launching the ball into the away end. For not only did it nearly take numerous fans’ heads off – but be it through carelesness, anger or downright malice: any way – it’s absolutely unforgivable, and beyond the pale for any footballer, not matter how cynical or careerist: to do such a thing. Yet it might have all been forgiveable for the surprisingly large following, if the performance hadn’t been unusually insipid and lifeless, almost certainly the worst one of the season so far. Having gone 4 games unbeaten, and beaten Tranmere for only the 3rd win of the season so far: it was hoped that the long trip down to Lee Bradbury’s men: might inspire a further run of form. Bournemouth, of course – prior to their 2-0 thumping of the Iron, below us in the table. 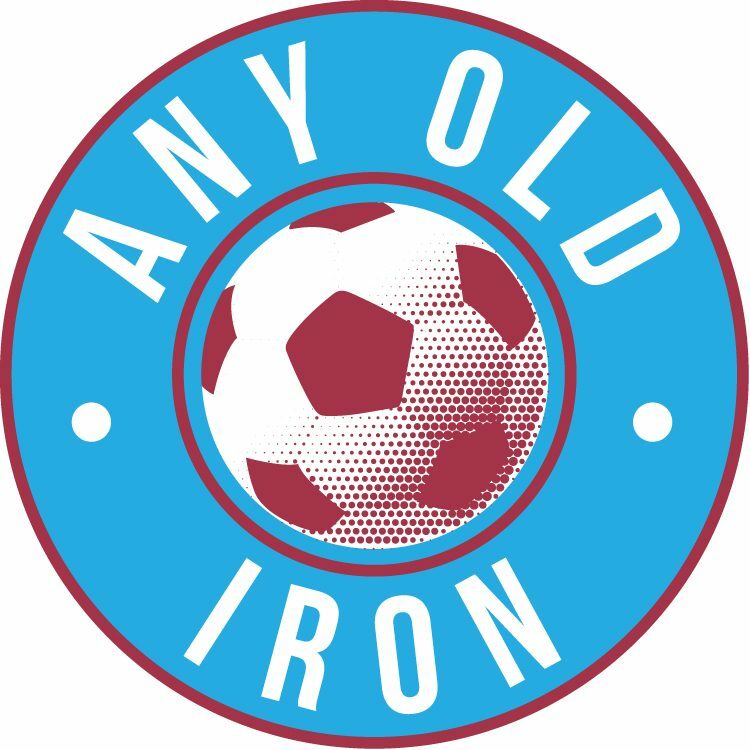 So with a trip to League Two AFC Wimbledon the Iron’s next engagement: they’ll be desperate to bounce back, knowing that if they don’t: it’ll be a one way ticket to crashing out of the FA Cup. There was only one change made to the Iron’s victorious Tranmere side, for with Andy Barcham having picked up a knock – he wasn’t in the squad at all, as a precaution. Thus – it was Mark Duffy who came in for the ex-Gillingham wideman. This thus left Sam Slocombe in goal for the Iron for the 4th game in a row – with Alan Knill confirming that the collective decision re: Sam Johnstone’s loan being extended or not would be made early this week. He was behind the continuous back four of Sam Togwell, Shane Duffy, Paul Reid and Eddie Nolan. In front of them were the flat four of Garry Thompson, Michael O’Connor, Oliver Norwood and Mark Duffy. And completing the line-up for the men of Iron were the front pair of Bobby Grant and Chris Dagnall. The opening period was deceptively encouraging, for whilst the Iron weren’t creating bucketloads: you hoped that if they kicked on a gear that they might. Unfortunately, the away side decided to do exactly the opposite and thrust the car into reverse and stalling the bugger. So Jamie Peters had a decent chance, but could only flick the cross wide for the hosting Cherries. Duffy’s shot was deflected harmlessly into the keeper’s hands, and Daggers stabbed wide of the mark – but neither were really guilt edged chances. But with less than 20 minutes – the Iron fans were screaming in frustration as Bournemouth took the lead. Winger Scott Malone was able to run 40 yards with the ball under minimal pressure – not have to beat a single man, before drilling a well struck effort into the bottom corner. It was a good strike, but the defending was poor – and it was by all markers far, far too easy for the left winger. Dagnall a few minutes later tried to do something similar – but under greater pressure, and from a tighter angle after a poor touch: was only able to drill his effort just wide of the home keeper’s right hand post. But it was a period of intense frustration for the Iron: and whilst we weren’t constantly deprived of the ball, it seemed as if we were unable to do keep it in touch for more than 4 or 5 passes – with the inevitable long ball invariably resulting in loss of possession. And the half petered out rather disappointingly, and limply, in this fashion. It was reminding supporters of clashes afar where we’d been thoroughly disappointing – and the only hope was that we’d kick on big style in the second half. However, it all too quickly became apparent that this simply wasn’t going to be the case. The tempo had been slightly better – but the Iron were barely in crawler gear, having just got out of reverse. It wasn’t enough – and not only did the ball not end up in the onion bag: but the half’s scoreline was ultimately to be repeated. Bournemouth were quite happy to sit a little bit deeper with their 5 man midfield, with the giant ex-Crawley forward Wes Thomas up front on his own. Lee Bradbury’s Dorset based side weren’t great: with their football a little bit more direct than the Iron’s – and they were comfortably the better side. They spurned a couple of half-decent chances to double their lead: and when Dagnall went through we thought the Iron might punish them for this. But ultimately, his touch was poor – O’Connor’s greed made sure the Irishman took the ball of him, and poorly screwed his effort wide of the post. It wasn’t as if Michael was even in a better position to score. In fact the opposite was true. And the Iron were deservedly punished for this. It was all from a seemingly routine ball over the top, but the Iron defenders – seemingly bereft of any pace at all, were beaten there by the very same Wes Thomas – and when Duffy somehow failed to clear the ball, he lashed the ball expertly in the top corner. It was a decent finish come the end from their lad, but like the first one: should never, ever have been allowed to occur at all. And wouldn’t hadn’t it been for the sloppy defending. The Iron management admitted as much post-match. But you can’t, and mustn’t, just blame the centre-halves, or even the back 4 for this. You defend as a team – right from the front, and lose, (preferably bloody win! ), as a team – so there can be no specific finger pointing. Well, not too much anyway! Ajose came on for the Iron, and forced Flahavan in goal for the Cherries into a routine save. Not only was the loanee farmed out of position on to the left-flank, but he was doing more than any of the others offensively to at least try and offer an attacking threat. And frankly – what can you expect? The away end had given up, and the players had seemingly become resigned to defeat as well. The fire and fight went out of them. If indeed, it was ever in them. And that was it really, kaput. Let’s just hope and pray that we can be a thousand times better away to AFC Wimbledon this Saturday. It’s the least we all deserve and need.